The Bristol Freestyle Fund (BFF) supports elite Rochester Area Freestyle Skiing Athletes who are Olympic Hopefuls. The funds objective is to collect contributions from the community and distribute 100% of the proceeds directly to the athletes who are working hard towards the next Winter Olympic Games. This objective mirrors the objective of GRAAF with the only exception being that BFF is dedicated to Winter Olympians. The Rochester area is fortunate to have a total of 5 members on the 2017 US Ski Team. There are only 32 athletes total on the team! This season alone these 5 athletes have the potential of over a combined 50 World Cup starts. The very best 32 Freestyle Skiers from over 425 ski areas in the United States of America have earned a spot on the 2017 US Freestyle Ski Team. FIVE (5) of those US Ski team members learned to ski and got their start in the sport of Freestyle skiing at Bristol Mountain in Western, NY. The Rochester region can be proud to have produced so many talented skiers who are successfully competing for our region and country throughout the world. The goal for all 5 of these athletes is to represent all of us at the 2018 Olympic Winter Games in PyeongChang South Korea! These athletes need your help to make it all the way! The United States is one of the only countries in the World that does not support their Olympic level athletes. Funding for all training, travel and competition fees is the responsibility of each athlete and the majority of this burden falls upon their families. Our 5 US Team members combined costs for the 2017 season alone will exceed $125,000. Families and skiers are making tremendous sacrifices. They all live apart from one another and have foregone large parts of their childhood to train year round in remote locations. Some families have sold their homes in order to defray these financial burdens. All of the athletes find part time work to supplement, but the training regimen is a full time job so the income generated is minimal. One athlete has even built a makeshift “living space” on the bed of a pickup truck so that he can travel from one training location to the next and minimize living expenses. The Greater Rochester Amateur Athletic Federation (GRAAF) is a long established 501c3 organization and BFF has joined GRAAF so that donations to BFF will be tax deductible. Please help our athletes reach their goals by making a contribution at WWW.GRAAFUSA.ORG. In addition to supporting these 5 US Ski Team athletes a small portion of the contribution will go to the US Development Team and National competition level athletes that are also from the Bristol program and the Rochester Region so we can keep this trend for years to come!! 100% of all contributions are forwarded directly to the athletes. These 5 Rochester area US Ski Team members are truly among the very best in the World! 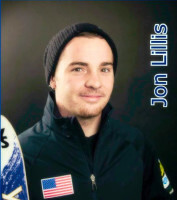 Jon Lillis (Aerials) - 8 years on the US Ski Team, 2012 World Cup Rookie of the Year, World Cup Silver Medalist 2016 – Russia, 2017 World Championships Gold medalist, 2017 World ranking – 8th. 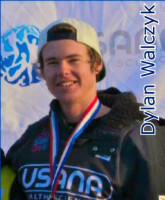 Dylan Walczyk (Moguls) – 6 years on the US Ski Team, World Cup Bronze Medalist 2013 – Lake Placid, World Cup Silver Medalist 2015 – Deer Valley, 2016 World ranking – 10th. 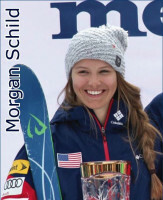 Morgan Schild (Moguls) - 4 years on the US Ski Team, 2015 World Cup Rookie of the Year, World Cup Podiums - Gold 2015 Japan, Gold 2017 Deer Valley, Bronze 2017 Lake Placid. 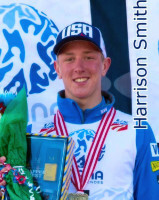 Harrison Smith (Aerials) - 4 years on the US Ski Team, 2015 Jr. World Champion, 2016 US National Champion. 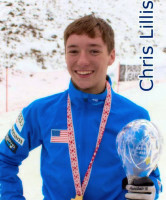 Chris Lillis (Aerials) - 2 years on the US Ski Team, World Cup Gold Medalist 2016 – Belarus, 2016 World ranking – 6th, 2017 World Cup Rookie of the Year. Ski with Champion Fundraiser Interview! Check out this great interview with GRAAF Ski Champion Harrison Smith and his Coach aired on Fox Rochester 12/30/2016. Support former Bristol Athletes QUEST for the 2018 Winter Olympics! This great advert ran to help promote BRISTOL FREESTYLE FUND Golf fundraiser.